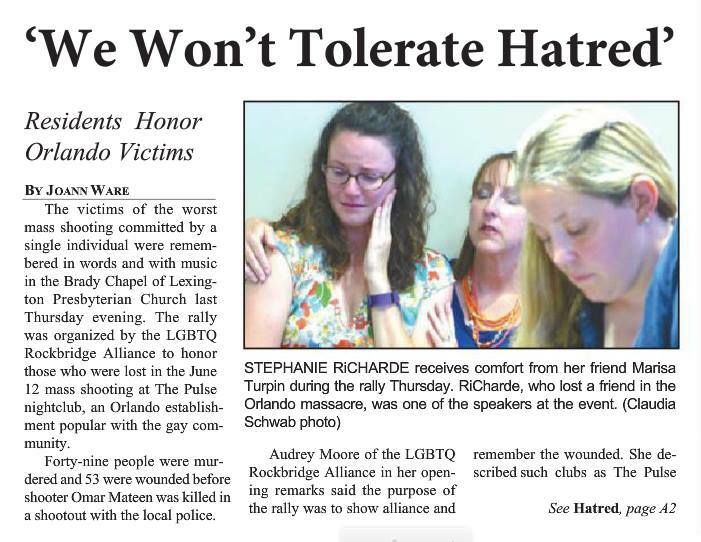 Community Vigil June 16th to commemorate the victims in Orlando and demonstrate solidarity and support for the LGBTQ community. 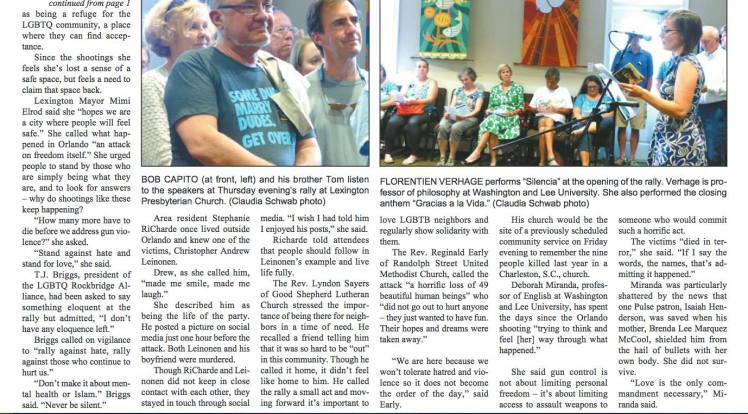 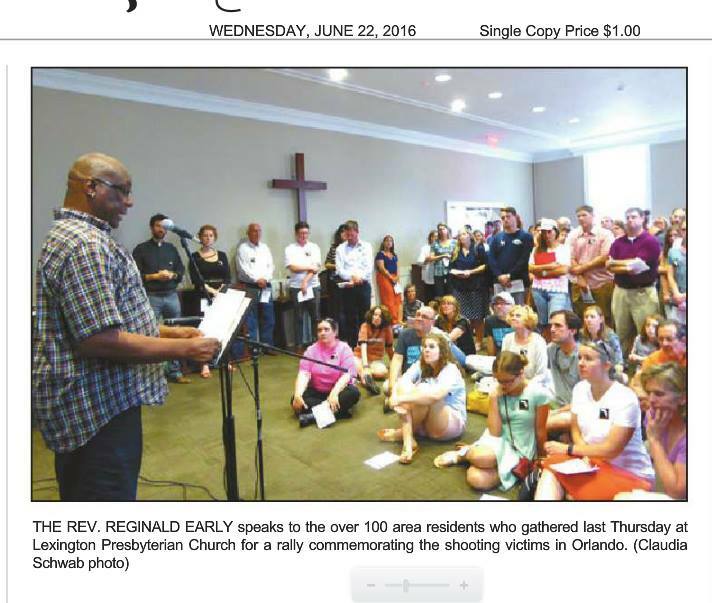 This vigil was hosted by LGBTQA Rockbridge Alliance and supported by CARE. 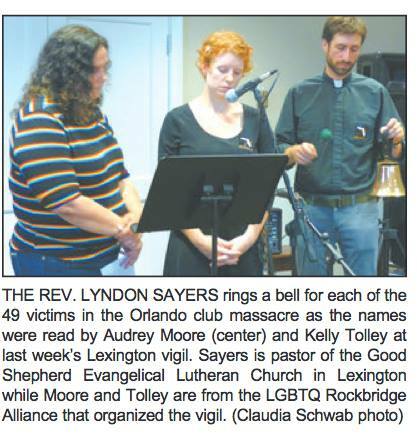 From the Lexington News-Gazette, photo’s by Claudia Schwab.